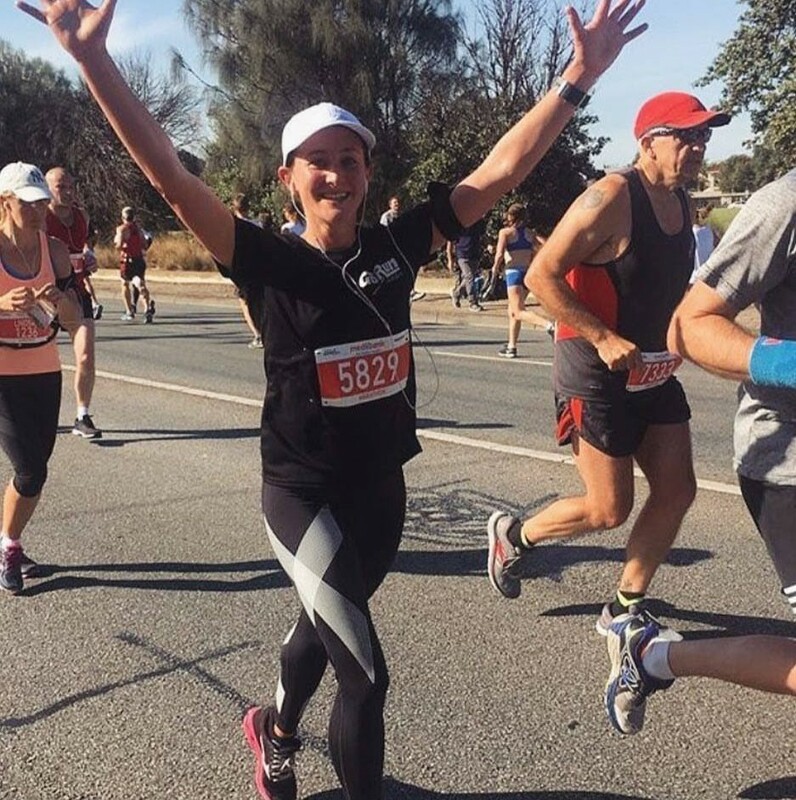 Following the Melbourne marathon, I decided to take up the advice of my valued client, Rose, and book in for a recovery infrared sauna. Having done numerous 30km+ runs, I knew what I would be in for the day after running 42km! Every single muscle from my neck down was tight, sore, irritated. Despite the magnesium powder, epsom salt bath and plentiful stretching, my body was screaming at me for some passive recovery. I had booked the 1 hour of bliss at Sunlighten the day after the race. From the minute I entered the sauna, I felt my whole body relax. As someone who tends to run hot anyway, I was silently dreading the heat of the sauna but was prepared to do what it took to let my body recover properly. Contrary to what I believed, the sauna was incredibly comfortable and the heat was extremely pleasant. I felt an all-over warmth but never felt actually hot. This is why infra-red saunas are so different to the commercial saunas found in gyms, pools etc. The hour flew by as I flicked through the pages of a beautiful magazine and drank the mineral water provided. The sauna was very private and I can say I felt well and truly relaxed both during and after the sauna. Compared to the other long run I had done (a 36km training run 3 weeks prior), my recovery following the marathon was far superior. I still had the telltale signs of an endurance event in the tight leg muscles, but by 3 days post-race I felt near-enough back to normal. As with anything health-related, I believe a holistic approach to recovery is the best. 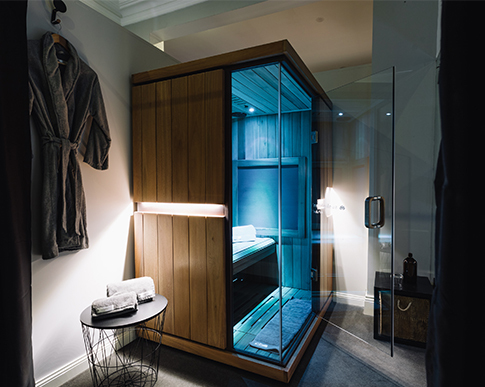 I can say with conviction that I believe the sauna, in conjunction with the other recovery methods mentioned above, helped me to bounce back after the marathon. ● How are infrared saunas different from a traditional sauna? For many people, the word ‘sauna’ conjures up thoughts of discomfort – hot rocks, steam and high heat. Now with infrared we welcome the latest evolution of this centuries-old tradition. The difference is that infrared provides a deeper penetration at a cellular level, for a purifying detox sweat at much more comfortable temperatures. The old type of saunas or can only heat the outside of the body. This is not getting deep where the healing and detoxifying is required. ● What is an infrared sauna? Infrared heat occurs naturally as the warmth we feel from the sun. As a sauna heating technology, infrared is a recent innovation of the last two decades. Yet, the same technology has been used extensively, especially in other industries from healthcare to space exploration for many years. Through research and innovation Sunlighten’s infrared heaters have been developed to deliver the precise infrared to penetrate the body at 3 levels – skin, muscle and cellular – for more health outcomes. ● Is infrared like a Microwave / UV? Infrared is entirely different to microwaves, tanning beds or ultraviolet (UV) radiation. Infrared heat is safe and healthy for all living things. Far from a new technology, infrared heat has been used in a variety of health and human movement applications for many years. Sunlighten saunas use a refined heating technology called Solocarbon®. This is patented to Sunlighten and is used in day spas, gyms, training studios and health practices worldwide. ● How often can I use an infrared sauna? Most people enjoy a 30-45 minute session, 3-4 times a week, but it is safe to use every day and at whatever heat suits you best. With the proper infrared wavelength doing the work, not the heat, there are many more health benefits. As with all saunas it is important to stay well hydrated. ● How can infrared saunas help improve circulation and muscle recovery? During your Sunlighten Sauna session, perform stretches or a pilates routine in order to make the most of your increased blood circulation. According to one study, this could give you better flexibility, particularly in the hips, hamstrings and lower back. Fatigued muscles and a tired body appreciate the relaxation of a sauna session after a workout! The improved blood circulation you experience in a sauna will help ease the aches and pains, loosen the tight spots and help increase the rate at which your muscles heal.